Listing provided courtesy of of . Last updated . Copyright 2019 MLSListings Inc. All rights reserved. This data is updated every 12 hours. Some properties appearing for sale on this website may subsequently have sold and may no longer be available. 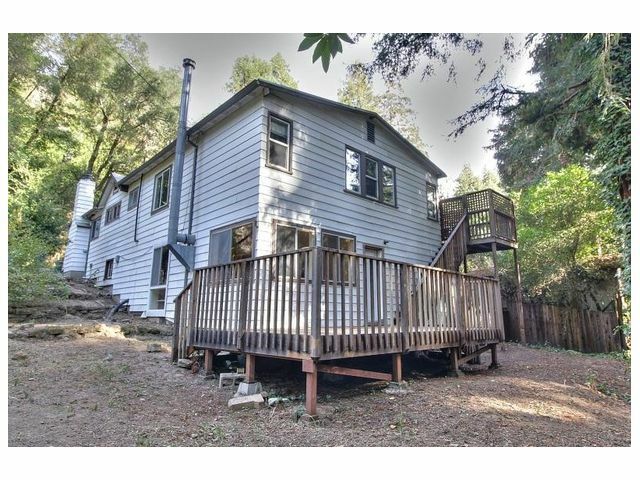 Affordable and Set in the Redwoods. This North Boulder Creek original sits on the site of the old McGaffigan Mill. Throughout the years this home has raised two generations of families and this is your opportunity to pick up where they left off. Great value with a 3BR/1BA upstairs and potential in/law rental, man cave, family room or master suite downstairs. Room to fit your whole family. 2 miles to Downtown Boulder Creek, 35 minutes to Saratoga and 45 minutes to Apple and Netflix. Area schools are great.